Allowing adults to continue texting behind the wheel puts thousands of lives needlessly at risk, says Houston auto accident attorney Brad T. Wyly. This isn’t about Big Brother attempting to rule Texas drivers with an iron fist. This is about preventing countless injuries and deaths on the roads. Texas Gov. Rick Perry’s recent veto of a bill that would ban texting while driving will put thousands of lives in jeopardy, Houston personal injury attorney Brad T. Wyly said today. Gov. Perry said the proposal, which would have prohibited drivers from sending or reading text messages while behind the wheel, was too broad and called it a “government effort to micromanage the behavior of adults,” according to the Houston Chronicle. Not so, said Wyly, who represents victims of serious motor vehicle accidents in Houston, Harris County, Galveston, Beaumont and the surrounding areas. Visual, in which a driver takes his eyes off the road. Manual, in which the driver’s hands are off the steering wheel. Cognitive, when the driver’s mind is focused on something other than the road. Texting is the most reckless form of distracted driving because it incorporates all three levels, the USDOT says. In 2009, there were 3,310 Texas vehicle crashes caused by cell phone usage, according to the state Department of Transportation. Nationally, 5,474 Americans were killed and an estimated 448,000 were injured in accidents where distracted driving was the main cause, data from the National Highway Transportation Safety Administration shows. Texas leaders made strides in the battle against distracted driving when they passed a law barring teens under age 18 from texting or using cell phones while driving several years ago, the Houston attorney said. And it’s encouraging the sponsors of the recently defeated bill are pledging to renew the effort against texting while driving in 2013, Wyly added. “But until that time, I know that I’m going to see more motor vehicle accident victims and their families who have been gravely or fatally wounded in crashes that involved reckless cell phone use and texting,” the Houston lawyer said. The Wyly Law Firm, P.C., is a Houston personal injury law firm that represents those injured in car, truck, motorcycle, bicycle or pedestrian accidents, throughout Houston and surrounding communities, including Harris County, Baytown, Pasadena, Galveston, Beaumont, Bellaire, Cloverleaf, Spring Valley, Missouri City, Aldine and Jersey City. The firm also handles business law issues and disputes. 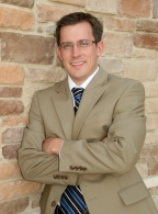 Attorney Brad T. Wyly, the firm’s founder, is a skilled negotiator and lawyer. Wyly has extensive experience in personal injury cases, including claims involving complex accidents, catastrophic injuries and wrongful deaths. He has been named a Rising Star in Law & Politics magazine. To contact Wyly Law Firm, P.C., call (713) 574-7034 or use the firm’s online form.